What happens when you get the brainpower behind Mozilla Firefox and Microsoft IE together? You get something very FoxIE! I value this type of discussion going on at this new series on debuting on Channel 9. If you have anything to do with web development, you should pay a visit! 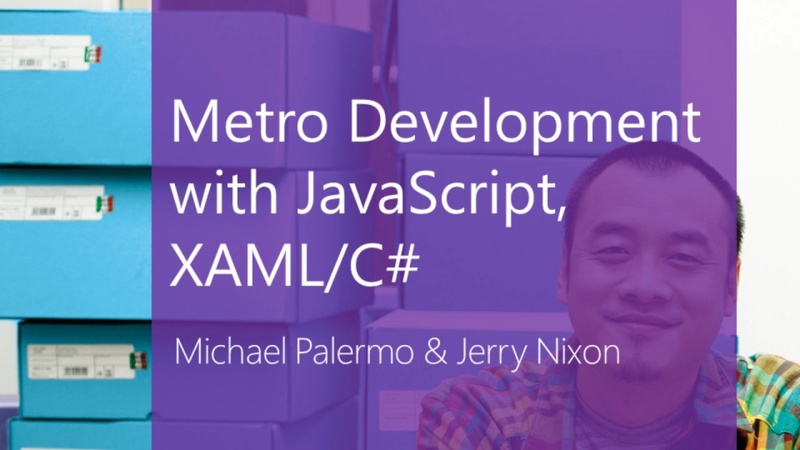 Developer Evangelist, Michael Palermo kicks off his new series today where he shows us how we can develop for Windows 8 in under 4 minutes or less. Today’s topic? 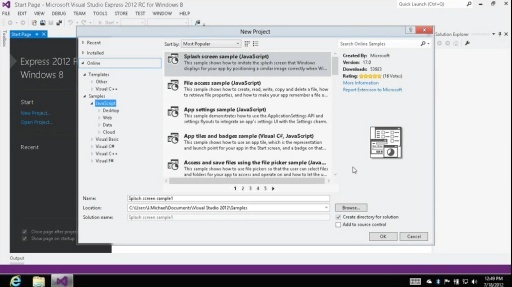 How to get started developing your Windows 8 app by downloading and using Visual Studio Express. The release of Windows 8 is on the horizon, and soon millions of people will be looking for Windows 8 apps. Now’s the time to make sure your app is ready for them. · Insider tips and tricks on Windows 8 application development. · Personal on-the-phone access to a Windows 8 architect*. · An exclusive one-on-one Metro style design consultation*. · An opportunity to get expert help from a Microsoft Services Engineer at an App Excellence Lab. Be sure to checkout the developer center download page for more samples! The sample is ready to go! You can poke around (code is pampered with comments) or run it immediately. The main message here is this – before you go searching the web all over for that “how to” sample, you might be pleasantly surprised to see it is already available via Visual Studio 2012! You can now view the sessions from the Microsoft Windows 8 Anchor event on Channel 9! // UPDATED 2012-07 thanks to ArthurDent69! Curious about the changes in HTML5? The W3C recently published an online reference to easily define the deltas.